Steve’s breakdown: Kroger is the company and once you start reading this article, it’s clear they are talking out their you-know-what. Somebody better get in there and straighten them out. CINCINNATI, OH: The Kroger Co. is looking to extend its share of consumers’ food dollars — this time, however, it’s aiming for the dollars spent on meals outside the home. The supermarket retailer is opening its first-ever full-service restaurant, which will be located next to Kroger’s new Marketplace store in Union, Kentucky. In a nod to the year Kroger was founded, the restaurant will be called Kitchen 1883. It will open in late October. The eatery will offer what Kroger described as a fresh take on “new American comfort food.” It will serve lunch and dinner, along with brunch on the weekends. 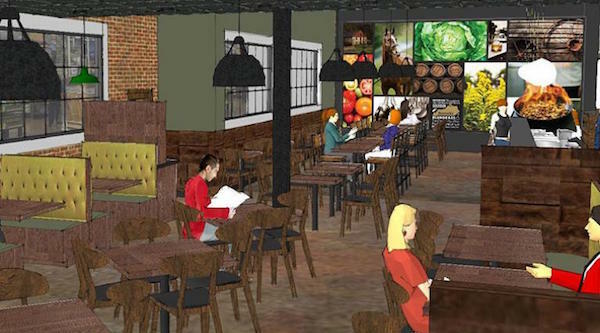 “Team members will be encouraged to share their passion for food with guests and help create an environment focused on hospitality and quality service that is unmatched in the industry,” the company said in a release.